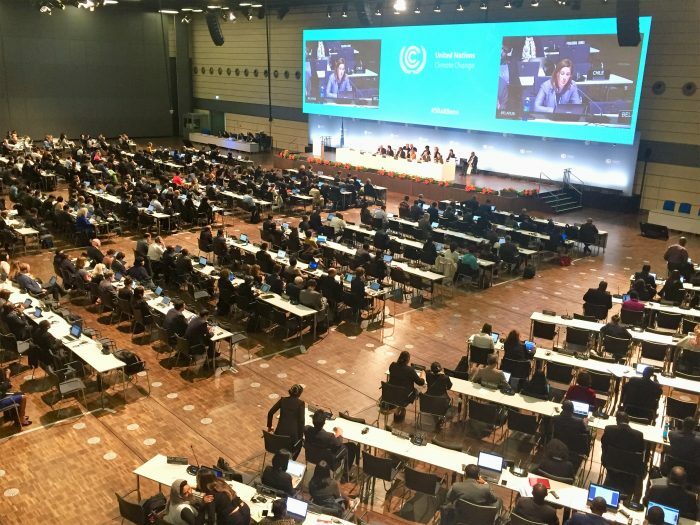 The climate change negotiations in Bonn are wrapping up today with little progress made on developing the guidelines for the implementation of the Paris Agreement. The window for the negotiation of an ambitious outcome at COP24 is quickly narrowing, with little time left between now and December to finalize the process. “We can no longer afford to lose more time on climate inaction. It is unfortunate that the international community is missing the opportunity to step-up and to take real and bold action to address climate change and its impacts on the most vulnerable,” says Rudelmar Bueno de Faria, ACT Alliance’s General Secretary. The lack of leadership amongst countries to commit to supporting ambitious climate action in the negotiations has proven to be a stumbling-block in making meaningful progress. The issue of financial support is closely tied to the issue of trust between parties and trust in the process. This is extremely important because trust will ultimately affect the outcomes of the negotiations on the Paris Rulebook, and on the implementation of the Paris Agreement. “In order for people and communities who are living in vulnerable conditions to transition to clean and reliable energy, while also adapting to the effects of climate change, financial support is imperative. Yet developed countries continue to not take the issue of financial support for climate action seriously,” says Martin Vogel, head of the ACT Alliance delegation at the UN climate conference. The Suva Expert Dialogue which was held last week to advance work on Loss and Damage is a clear example of how the process is lacking adequate ambition to develop solutions with the most vulnerable. “Those that are hit the hardest by climate change impacts continue to be ignored in the climate talks. It is not a question of whether the issue of Loss and Damage fits within the agenda of the negotiations, the real issue is the willingness of the international community to support those who are and will continue to face the enormous financial burdens imposed by climate impacts,” Vogel continues. Looking ahead, the next round of climate talks will be taking place in Bangkok in September, where Parties will convene for one week and will hopefully move from an exercise of note-taking to actual negotiations and commitments to improving the future of our planet. “Advancement on the Talanoa Dialogue will now be essential to turn the negotiation process into political goodwill to strengthen the climate commitments of Parties at the next COP and to shift away from the focus on national interests, mistrust and shrewd tactics, as witnessed here in Bonn,” says Vogel. “ACT Alliance is committed to continue to work to ensure that the outcomes moving forward will be embedded in principles of justice, human rights and solidarity,” says Bueno de Faria.